The best and easiest shopping list on the App Store, WITHOUT monthly subscriptions, WITHOUT recurring fees and WITHOUT advertisements. If you want (and it isn't mandatory), you can unlock advanced features with a single one-time in-app purchase. ● Browse hundreds of preloaded items, scan a barcode or insert your own items. ● Add a photo to your items and never be confused about what to buy. ● Reuse archived lists, add items to your favorites and browse your purchase history. ● Organize items in aisles, and change aisles order to suit your local store. You can sort aisles store-by-store. ● Archive your lists to reuse them and to see statistics about your purchases (for example you can identify cheaper and most expensive stores, overall and grouped by aisles). ● For each item you can save all the prices you want and compare prices of various stores. ● Insert the package size, see the price per unit and easily compare item packs. ● See how much money you can save or waste for each list. ● Identify on the fly items you're paying too much thanks to color pricing. ● Share and synchronize your lists on multiple devices by enabling the Dropbox sync. Or send your lists via email, WhatsApp, SMS or iMessage. ● Backup your data to avoid data loss. ● Customize IntelliList by choosing among 22 color templates, 22 different icons and 20 fonts. ● Use IntelliList on all your devices (iPhone, iPad and iPod Touch): it’s an universal app. The base version lets you create or customize up to 30 items. To create or customize an unlimited number of items you can upgrade to the full version (with a one time in-app purchase). The matching between barcodes/photos and items is managed in a social way, through the community of IntelliList users. Inevitably, in the beginning only few barcodes/photo will be recognized. But the more people use IntelliList, the better IntelliList will get. If you have problems or suggestions please contact us via support@ameridea.com (you can do this from within the app itself). We are not able to help you if you simply leave a comment on the App Store. We give the greatest importance to the quality and reliability of the application, and we will be happy to solve any problem. The best and easiest shopping list on the App Store, WITHOUT monthly subscriptions, WITHOUT recurring fees and WITHOUT advertisements. If you like IntelliList and if you want to keep free updates coming please leave a review. It MEANS A LOT for us, really. Thank you! PS: if you have already left a review in the past you can repost or update it, and it will only take a moment. 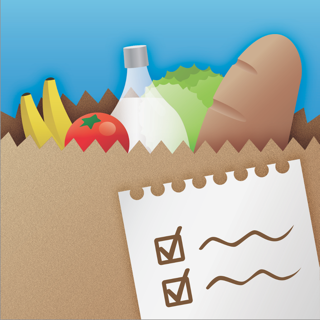 I tried it out looking for a new grocery list app since my previous app was bought, changed and then killed. This app looked promising but I found it a little clunky. When I want to add an item, I type it in. When I click that item, I want to see it on my list so I know it’s there and then automatically go back to and clear my search bar. On this all you see is the items you select and you have to click back on the search field, delete your searched word every time after adding something. it works as you said: if you tap an item it is added to the list. Items into the current list are marked with the tick on the checkbox on the left of the item. previous versions of IntelliList had 7,000 preloaded items. But it was too much: a lot of users asked us for an empty database, or a way to delete preloaded items. Thousands of preloaded items are difficult to manage. Also, thousands of items are not enough too, because there are millions of items out there and thousands new are created every month. Should we add to IntelliList thousands of items every month you'll never buy? Obviously no, so IntelliList allows you to customize everything, and create all the items you need. sorry but where you read about a subscription? There are no subscriptions into IntelliList. You can try the base version for free, and if you like it you can unlock the ONE-TIME in-app purchase to customize an unlimited number of items. If you don't like it that's fine (people have different needs): just delete it from your device and you have not wasted a dime. Only to be clear: there are no subsciptions into IntelliList, only a one-time purchase (and it is not mandatory). there are no preloaded prices, you have to add your prices for your stores. But, again, this is one of the strengths of IntelliList: you can customize it as you want. I love IntelliList because I can create multiple shopping lists and I even put in lists by store. I call one my TODAY list if there are things I need to pick up today. When you put an item in your cart you can add the price so you keep track of your shopping expense. The list crosses it off the cart. And it keeps track by store. The only thing I would like to see added is a way to clear the list of things I have bought after check out but have a basic list remain. I like seeing things I buy regularly so I don't forget them like blueberries and strawberries for example. The way I know to do this is to delete the item. I have lists for Next Week, Family Events, Today, and by stores like Costco so I remember what I need when I go there. I also like the pictures of the item the app gives if you click the arrow to the right of the name like corn or coffee. And when you start another list and put in an item you've used before, the picture comes up. Big bonus, if you've gone overboard on spending, you can put some items back for next time! 1) you can archive your list at the end of the shopping trip. To archive a list tap the button with three little dots on the right of the list you want to archive and tap the "Archive" button. The next week you can reuse the list you archived: from the menu go to "Archived lists", tap the button with three little dots on the right of the archived list you want to reuse and tap the button "Reuse". This is the recommended way: information about lists, items and stores is used for statistics. Also, information about archived lists is used to create an history of your purchases, and this allows you to browse your recurring and your latest purchases. 2) alternatively, you can simply remove all the items from the cart: open the list and tap the third button on the bottom toolbar, then tap the button "Remove all items from the cart". So the next week you can add again the items to the cart when you put them into your shopping bag/cart. 3) alternatively, you can move the items you want to remember to your "Next week" list: open the "Today" list and tap the button with three little dots on the right of the item you want to move, tap "Move" button and within the next window select the "Next week" list. Repeat these steps for each item you want to move. We have been using IntelliList for a few months and it’s perfect for our grocery shopping lifestyle. The scanner is fast and accurate. The search works great. Easy to add photos to items. Works well with Dropbox to keep your list synced between devices. The developer is actively improving the app and listens to users. We had a small problem recently with a list and their customer support was great. They even helped us on the weekend. I recommend trying it out for a couple of weeks to learn the ins and outs before buying the full version. You will need the full version if you want to create more than 30 items in your database. I feel the UI esthetics could be improved, but in some ways I like the minimal design. I set mine to black and white for maximum contrast in harsh grocery store lighting.